Born: 1881, Hong Kong, China. Died: 9 August 1962, Bulawayo, Zimbabwe. George Arnold received his early education in, consecutively, Devon (England), Waldkirch (Germany) and at a senior school in Compiegne (France), and as a result spoke several languages. After working as a clerk in London for a while he spent some time at the Royal College of Science, London, which around that time became a part of the Imperial College of Science and Technology, before being appointed to the Department of Cytology and Cancer Research at the University of Liverpool. While there he published several cytological papers. In his spare time he studied insects of the order Hymenoptera. At this time he had obtained an MSc degree and in later years was awarded the degree Doctor of Science (DSc). In 1911 Arnold was appointed Curator of the Rhodesian Museum in Bulawayo, an institution which under his leadership became the National Museum of Southern Rhodesia (now Zimbabwe) in 1936. He remained its Director until his retirement in September 1947. During these 37 years and after his retirement, when he acted as honorary keeper at the museum, most of his research was in entomology. Arnold specialised in the Hymenoptera, an order including the ants, wasps and bees, and established himself as an international authority in this field. He produced several important monographs and many other taxonomic papers, the last of which he proofread in hospital on the day that he died. One of his most important publications was A monograph of the Formicidae of South Africa, in which he described more than 400 species and varieties of ants found south of the Zambezi River. It was published in six parts in the Annals of the South African Museum (Vol. 14, 1915-1924, 766 pp), followed by an appendix (1926, Vol. 22 (2), 105 pp). His monograph on The Sphegidae of South Africa was originally published in fifteen parts in the Annals of the Transvaal Museum (1922-1930, Vol. 9-14), as was his series of seven papers on "The Psammocharidae of the Ethiopean region" (1931-1937, Vol. 14-19). Another major work was The Sphecidae of Madagascar (Cambridge, 1945, 193 pp.) From 1933 he was able to publish many of his papers as Occasional Papers of the Rhodesian Museum (a few years later renamed Occasional Papers of the National Museum of Southern Rhodesia), producing seven papers on various taxa of the Hymenoptera in its first six years. In fifteen of his papers, the last one published in the Occasional Papers in 1960, he described "New species of African Hymenoptera". The insect specimens he collected were housed in the National Museum in Bulawayo, but many years after his death most of the Hymenoptera collection was sent to the South African Museum in Cape Town in exchange for the stone Zimbabwe birds. Arnold's research contributions are all the more remarkable because of the poor library facilities of the museum and because he was the only professional member of the museum staff between 1915 and 1925, and the only zoologist until his retirement. Despite these limitations he developed the institution into a centre of scientific excellence recognized internationally. He also made important contributions to the archaeology of southern Africa. For example, he was the first to collect stone artefacts at the site of Sawmills, a railway station on the Bulawayo to Victoria Falls Railway, in 1918. His finds were later described by Neville Jones in the Journal of the Royal Anthropological Institute (1924). With Neville Jones he furthermore partially excavated Bambata Cave that same year (a large painted cave in the Matopo Hills). This constituted the first competent excavation of cave deposits in Southern Rhodesia (Garlake, 1993). Their results were published in "Notes on the Bushman Cave at Bambata, Matopo" in the Proceedings of the Rhodesia Scientific Association (1919, Vol. 17, Part 1). According to Neville Jones (1949) these two investigations constituted the first attempt to deal with the subject of prehistory in Southern Rhodesia on scientific lines and put the country on the map with regard to prehistoric research. In addition to his scientific work Arnold was a competent Museum technician. Among others he made plaster casts of reptiles and fish, painting them scale by scale, and contributed a paper on "Mounting and preparation of insects" to the Southern African Museums Association Bulletin (1936-1939, Vol. 1). 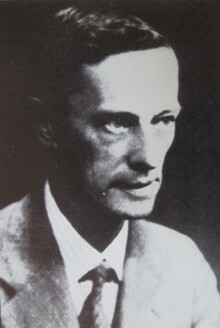 Arnold was elected a Fellow of the Royal Society of South Africa in 1935, was an associate of the Royal College of Science, honoured as an Officer of the Order of the British Empire (OBE), elected an honorary member of the Southern African Museums Association, and elected a Fellow of the Entomological Society of London. He was a founder member of the Entomological Society of Southern Africa in 1936, was elected president for 1939/40 and served as joint vice-president for most years from 1938 to 1956. From 1917 he was a foundation member and a member of the council of the South African Biological Society, serving as vice-president in 1922 and 1930. During 1917 to 1919 he was president of the Rhodesia Scientific Association. The papers that he contributed to its Proceedings included "Science museums, their origin and functions" (1918). Reay Smithers, who succeeded Arnold as Director of Museums in Southern Rhodesia, described him as "an irascible little man but with a heart of gold, who, as an entomologist made a tremendous contribution to knowledge in his field". And, " it was surprising what he accomplished, both from the point of view of the [museum] building itself and the display and study collections which it contained" (Smithers, 1984, p. 10). Annals of the South African Museum. List of Papers published in Volumes 1-30. Cape Town: Trustees of the South African Museum, 1938. Annals of the Transvaal Museum, 1915-1937, Vol. 14-19, papers by Arnold. Arnold, George. In: Biodiversity explorers, at http://www.biodiversityexplorer.org/people as on 2013-08-21. Brain, C.K. & Erasmus, M.C. The makings of the museum professions in southern Africa. Pretoria: Transvaal Museum and SAMA, 1986. Cohen, A.B. Notes on southern African stone tool collectors represented in the British Museum (Natural History). Received via e-mail from author, 21 March 2001. Garlake, P.S. The first eighty years of rock art studies in Zimbabwe. Heritage of Zimbabwe, 1993, Vol. 12, pp. 1-23. Mansell, M.W. The Entomological Society of Southern Africa, a historical review. African Entomology, 1993, Vol. 1(1), pp. 109-120. Occasional Papers of the Rhodesia Museum, succeeded by Occasional Papers of the National Museum of Southern Rhodesia, 1933-1939, No. 1-8, papers by Arnold. Pinhey, E. Obituary: Dr G. Arnold OBE. Nature, 1963, Vol. 199, pp. 29-30. Proceedings of the Rhodesia Scientific Association, 1930/1, Vol. 30, pp. 53-58: List of Proceedings. Smithers, R.H.N. Recollections of some great naturalists. Transvaal Museum Bulletin, 1984, No. 20, pp. 4-20. South African Journal of Natural History, 1918, Vol. 1(1), pp. 8-15: Roll of Foundation Members; 1918-1929, Vol. 1-6: Council [of the South African Biological Society]. Southern African Museums Association Bulletin (SAMAB), 1936-1939, Vol. 1, paper by Arnold. Transactions of the Zimbabwe Scientific Association, 1999, Vol. 73, centenary issue: Past Presidents, 1899-1998. Wilson, V.J. & Cooke, C.K. A short history of the National Museum Bulawayo. Rhodesia Science News, 1973, Vol. 7(10), pp. 277-280. Zimbabwe, Death notices, 1904-1976. Family Search. https://familysearch.org/ark:/61903/1:1:QKZQ-1K4B : accessed 21-12-2015.